Week 4 of National Home Security Month moves outside and starts to look at securing outside garden items and toys and also sheds and garages. 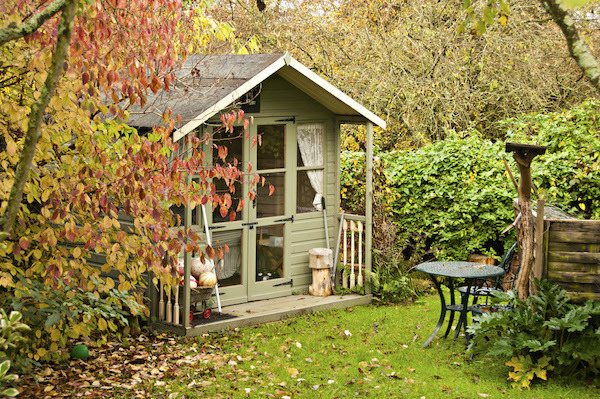 Thefts from garden sheds increase by almost 25% cent as soon as the longer days are upon us. Its about time we got serious about garage security, most garages will have 1 main access door, of an up and over style. Up and Over garage doors will be operated by a handle that allows the door to be opened, the handle is then locked to secure the garage. These locks are good, but not great, extra locking bolts are advised to increase the security of the main door, pairs of locking garage bolts are very popular as they offer great levels of security, are easy to fit and very simple to use. During the darker nights, shed and outbuilding are targeted with criminals using the dark to carry out a break in. Standard shed security is often minimal and quite inadequate, it is therefore suggested to increase the security of shed doors, with stronger more robust weatherproof locks. Security lighting is another way to put off would be criminals, motions sensors active the security lighting when someone walks past and thus alerting anyone at home of the presence of someone in the garden. Security lights have become even easy to fit with the advances of LED bulbs and solar panels, these lights do not need a power source, which means they can be fitted anywhere by anyone. To further protect valuable items stored in sheds and garages a cable lock and ground anchor can be used. A ground anchor is bolt to a solid piece of concrete, a length of chain or cable is then used to secure items with a high security padlock. So even if someone does gain access to your shed or garage, then important expensive items are still secured.